Sail with Condor Ferries on a Channel Islands day trip with this great value deal from Virgin Experience Days. Normally priced at £60 for two people Virgin Experience Days are selling this Channel Islands day trip at half price for just £32 for two people. 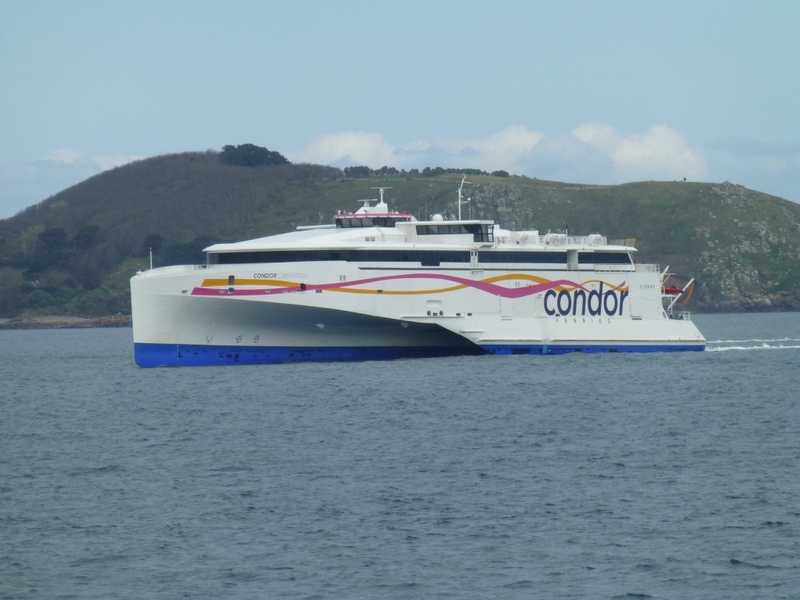 Hop aboard the high speed Condor Liberation and be whisked from the port of Poole, Dorset, to Guernsey. A beautiful destination, Guernsey boasts tax-free shopping, museums, castles, fine dining restaurants and golden sandy beaches. It takes three hours sailing to reach Guernsey. You will then have up to four hours to soak up the slow-paced way of life on either island before the ferry departs back to England. Enjoy a great value day trip to Guernsey. Enjoy allocated airline-style seating on-board the ship which boasts a cafeteria, Duty Free shop, and more. You'll have up to four hours in the Channel Islands so you'll need to plan carefully to make the most of your time in Guernsey. Food and drink cost extra aboard. You'll first need to buy this experience day voucher from Virgin Experience Days °. Full details on how to book your sailing with Condor Ferries will be included in the experience gift pack sent to you by the company. You must book a minimum of ten days before travel. Virgin Experience Days recommend booking four weeks in advance. Travel on this 2 for 1 deal is only available on selected dates and places are subject to availability. Vouchers are not valid on Saturdays or bank holidays, and are valid until 23 March 2018. All deals are subject to availability and can be withdrawn by the operator without prior notice. The lead-in prices (otherwise known as the 'from' prices) are, unless otherwise stated above, based on two adults sharing the cheapest available cabin on the cheapest available date. In this promotion the lead-in price will be based on the cheapest ticket available during the offer period of between Tuesday 14th March 2017 and Wednesday 28th February 2018 booked at the start of the promotion. Typically the best prices are available at the start of any promotion period so the earlier you book the better choice of sailing dates and cabin availability you should have. Mid-week sail dates are likely to be cheaper than weekend sail dates. Additional terms and conditions imposed by the operator will apply to this offer in addition to their standard terms and conditions, both of which can be found on their website °.